All information given in good faith - for use as guidance only. 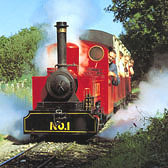 Lappa Valley Steam Railway is a narrow gauge railway which opened in 1849 as a mineral line from Newquay to East Wheal Rose and later became part of the Great Western Railway's Newquay to Chacewater branch line, which was eventually closed in 1963. 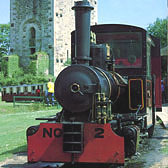 Part of the line was reopened in 1974 by Eric Booth, the founder of Lappa Valley, and has since become a popular attraction for all the family. This great family orientated attraction offers something to entertain everyone whether old or young. 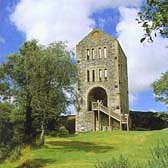 As well as its wonderful two mile round trip on a 15" gauge steam train with historic engine house the park also offers a wonderful variety of entertaining attractions. Take a relaxing boat ride on the beautiful boating lake, have some great family fun on the crazy golf course or take a ride on one of the wonderful miniture trains. For those looking for something a little more sedate, why not enjoy a peaceful walk along one of the parks stunning nature trails or simply enjoy a memorable family picnic surrounded by the beautiful countryside. 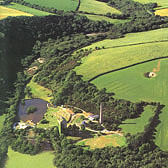 With something for everyone Lappa Valley Steam Railway and Park is a wonderful family day out.